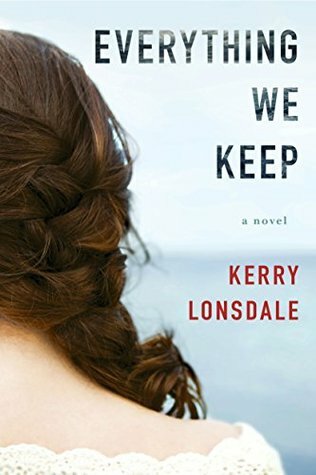 Goodreads Synopsis:A luminous debut with unexpected twists, Everything We Keep explores the devastation of loss, the euphoria of finding love again, and the pulse-racing repercussions of discovering the truth about the ones we hold dear and the lengths they will go to protect us. I was surprised to receive a copy of this from Lake Union, but also pleased to receive it! I enjoyed this story more than I thought I would have, as this is not the genre I usually read. Aimee is an interesting character. She's got a lot of flaws, but also a lot of potential. After the devastating loss of her fiance, she finds it hard to move on with her life. His clothes are still in her closet and his ring is still on her finger. After following her dream of opening her own restaurant it finally seems like she's moving on with her life...and you want to see her move on with Ian, too. Ian's a photographer. He's patient, kind, and trustworthy. You can tell how hard he falls for Aimee right from the start. Things get complicated, of course, because Aimee receives clues that James, her fiance, is still alive. In truth, Aimee has always felt like James was still alive. She travels to Mexico where he was last seen alive to try to find out the truth about what happened to the love of her life...and Ian goes with her. This was a well-developed plot and story. The details and focus were on the most important things and I appreciated that. Certain things were skipped over (dinner conversations, travel scenes) and it worked nicely with the story. I enjoyed the mystery of the story and also the reveal. The epilogue didn't really surprise me considering the sequel is coming out in a few days. Definitely check this out if you're into mystery and character growth. Stay tuned for my review of the sequel Everything We Left Behind. The book comes out on July 4th! Thanks to Lake Union Publishing and NetGalley for the ebook.